Used this 20 inch bull barrel on my last build. After sighting in I was able to shoot a .196" 5 shot group at fifty yards using Midas +. The next group was with R50 and that group measured .141". I don't typically review purchases, but this product is nothing short of exceptional. I paired this Barrel with the Kidd trigger group, followed the receiver baking recommendations and have been rewarded with one of the finest shooting firearms I've ever owned. Dime sized 50yd targets are an afterthought now for this very average shooter. Thank you Mr. Kidd, and all those in your organization. I read and overwhelming amount of positive reviews for Kidd products and went with this barrel coupled with a Kidd drop-in trigger. I had a stock 10/22 from Walmart that really didn't get any range time. Once upgraded with these items, it really made the rifle fun again. My son described it as really satisfying to shoot. Dime size targets are not a challenge at 75" so far. I am happy it does so with off the shelf, cheap Federal bulk ammo. Now I want more upgrades! Q: How much does the barrel weight? Q: how accurate is this barrel at 50 yards? 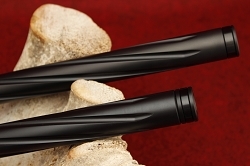 Q: what is the weight of your 18 inch black bull barrel with muzzle brake? 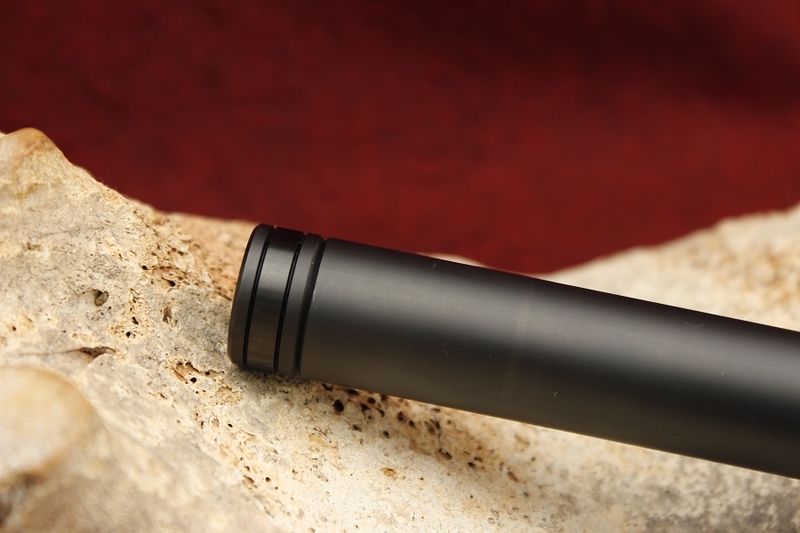 Q: Does the Polished or Bead Blasted Black Bull barrel best match the Black Kidd Receiver? Q: Do you also sell this in a 16.5" fluted version ? Q: Could you tell us the type of threads that are lathed onto the end of the barrel with that option? Are they 1/2-28 or something similar? What is the length of the threads? Are they designed to accept the Ruger suppressor? Is there a flash hider commercially available that fits these threads? It looks like your KIDD items could help me build a really nice pack rat Terminator. Q: Does this barrel come threaded for a muzzle brake? 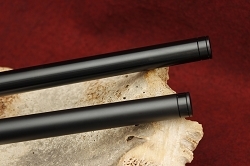 Q: Is this barrel the same as the KIDD .22LR Match Stainless Steel Rifle Bull Barrel just in black? Q: Are these barrels threaded and capped ? Q: Is this 20" barrel compatible with & a direct replacement for the Ruger 10/22 Carbine receiver sold with tapered 18.5" barrel? Q: Are the black bull barrels drilled and tapped for a scope? 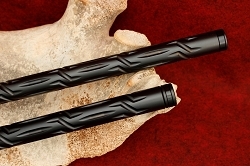 Q: how much weight difference between the standard Bull barrel and the fluted?